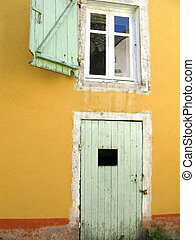 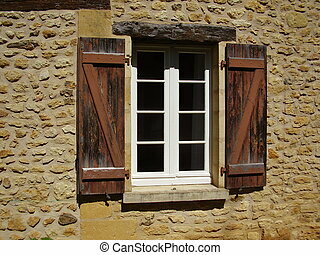 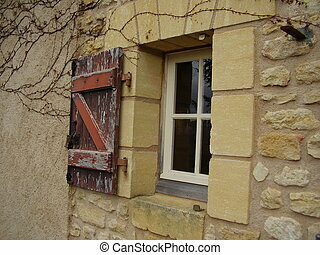 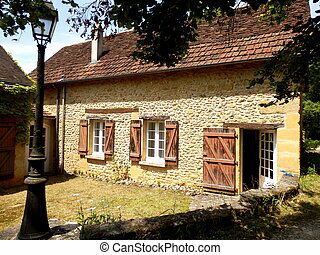 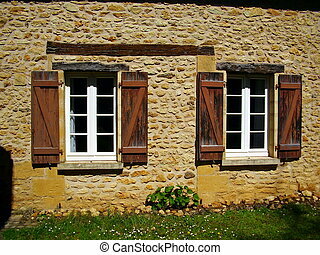 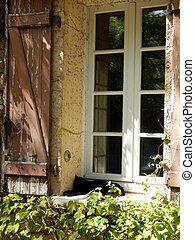 French farmhouse window & shutters. 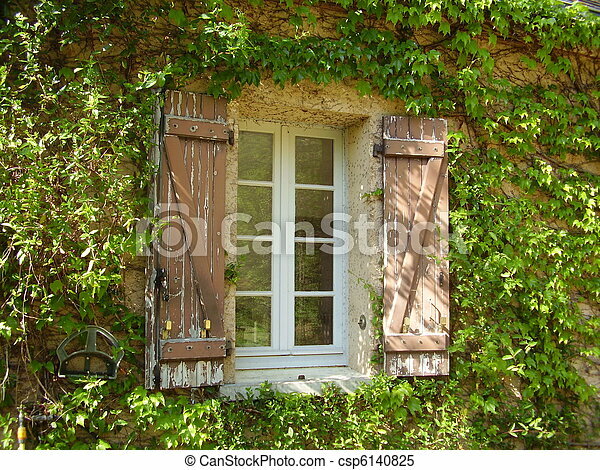 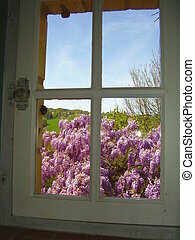 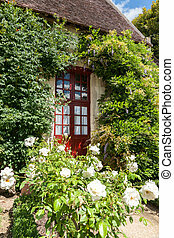 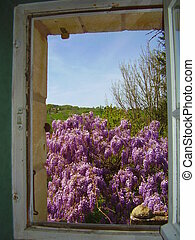 Traditional french farmhouse window with old shabby shutters surrounded by virginia creeper and honeysuckle. 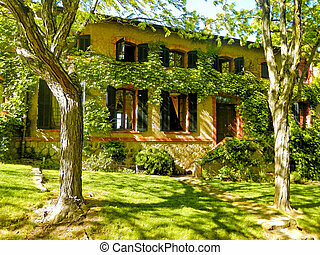 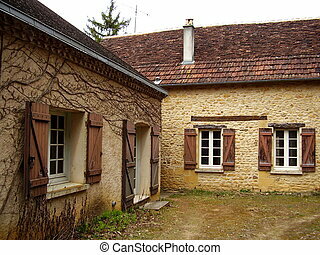 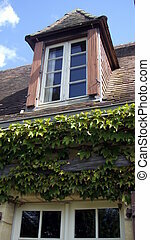 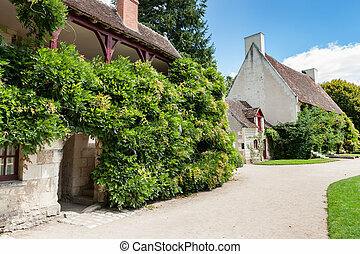 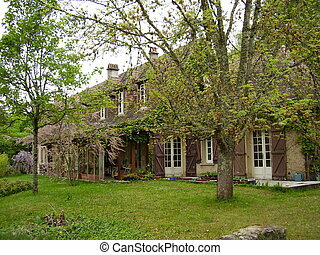 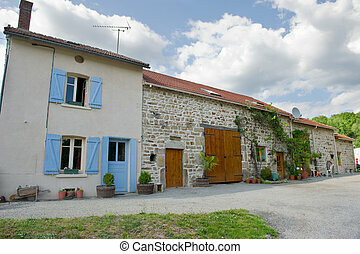 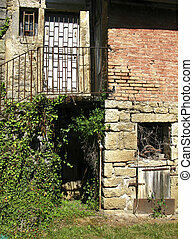 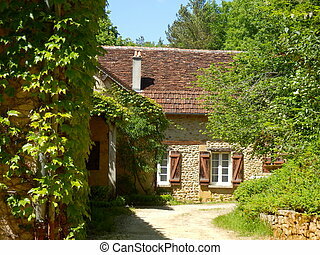 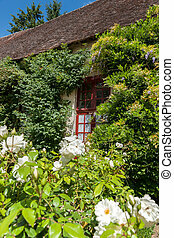 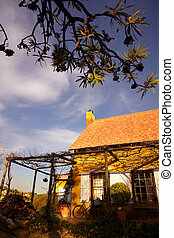 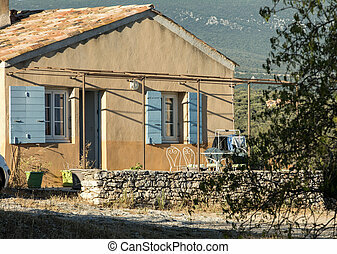 a quaint french farmhouse with a red tin roof and a grapevine outside the shuttered windows on a sunny day. 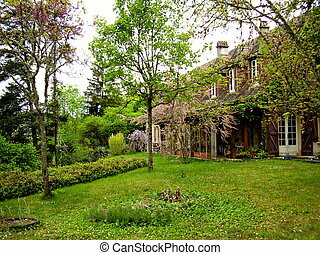 French country house set within lovely gardens. 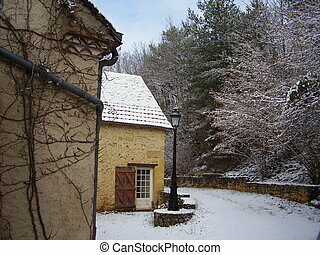 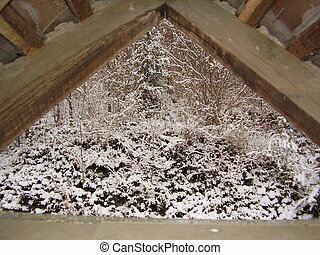 French country cottage (gite) after a snowfall.